Most orders are shipped within 24 hours, provided all of the items are in stock. If we are unable to fulfill the order within 24 business hours, we will contact you via email to let you know the status of your order. Please note: Order tracking is available for online orders shipped from the FineArtStore.com warehouse only. Please email us regarding drop shipped orders, or orders placed via phone or fax. Click the "Order Details" link for the order you wish to track. You will see a list of items ordered above the billing and shipping information. Find the tracking number and shipping company for the item you wish to track. Paste the tracking number into the appropriate shipping company box. If you have not received a shipping confirmation, please email or call us. We will be happy to help you locate your order. 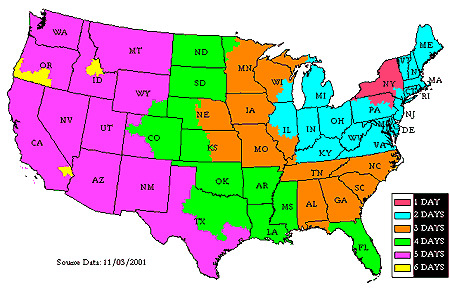 The chart below shows shipping charges for US Priority Mail or UPS Ground to all 48 contiguous US states. Whenever possible, we try to use the US Postal Service. Larger packages and packages that require insurance will be shipped by UPS. Note: We have found that whenever possible it is best to ship paper rolled. It is not very well known, but UPS charges can get quite high for flat shipments because shipping is calculated based on the box size, rather than weight. We have also found that rolled papers are less susceptible to damage during delivery. However, if you request that your papers are to be shipped flat, we will gladly accomodate and charge the additional cost to your order. We can also ship by next day, second day or third day air through various carriers. Charges for expedited shipments vary greatly because they depend on the package's destination, weight and also it's dimensions. These variations make it impossible to calculate the shipping charges until the order is actually packed, measured and weighed. 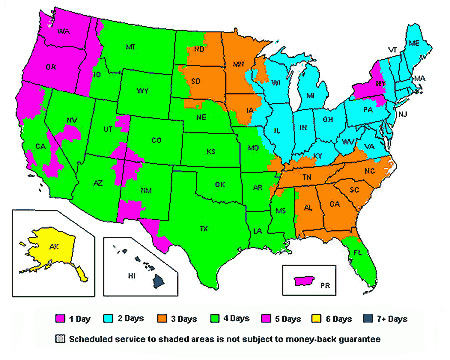 Therefore, all expedited packages must be calculated and charged separately. We are happy to ship packages internationally. We work with all carriers however our experience has shown that the most economical method is via the US Postal Service. The USPS offers International Express, Global Priority and Air Parcel Post. We suggest that you allow us to select the most economical method. We also work with Federal Express and UPS however, please be aware that they impose additional charges for export documentation and often result in extra charges for customs and duties. Several countries but not all, charge a duty tax on the import of art supplies. Please contact your customs office to determine if your shipment is subject to duties and if so how much. Duties and brokerage fees are your responsibility. We have been asked on several occassions to falsify documents to show a lower value on the shipment. We will not accommodate these requests, we will not jeopardize our export license by falsifying documentation. We ship easels in all sizes. Sometimes these easels can be shipped by UPS and occasionally they are too big and must be shipped by truck. The shipping charges for these larger items are often listed in their description. If you have any questions, feel free to email customerservice@FineArtStore.com or call for more information.